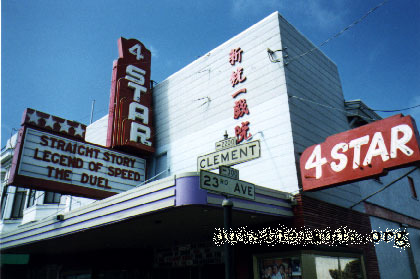 A movie house gem since 1926. 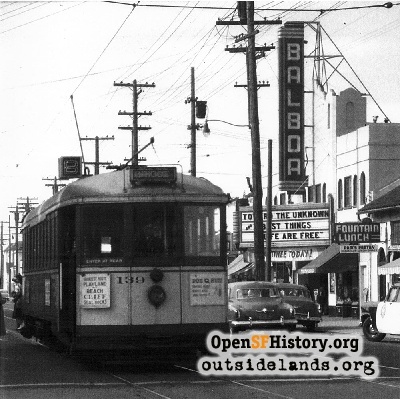 SFMRY B-line streetcar #139 passes the Balboa Theatre and Pam's Pantry. - Courtesy of Jack Tillmany. First film: "The Man on the Box"
On opening day, Mr. [Samuel H.] Levin stated: "In building theaters nearest the home it is my aim to provide entertainment for them of a standard worthy of family patronage. 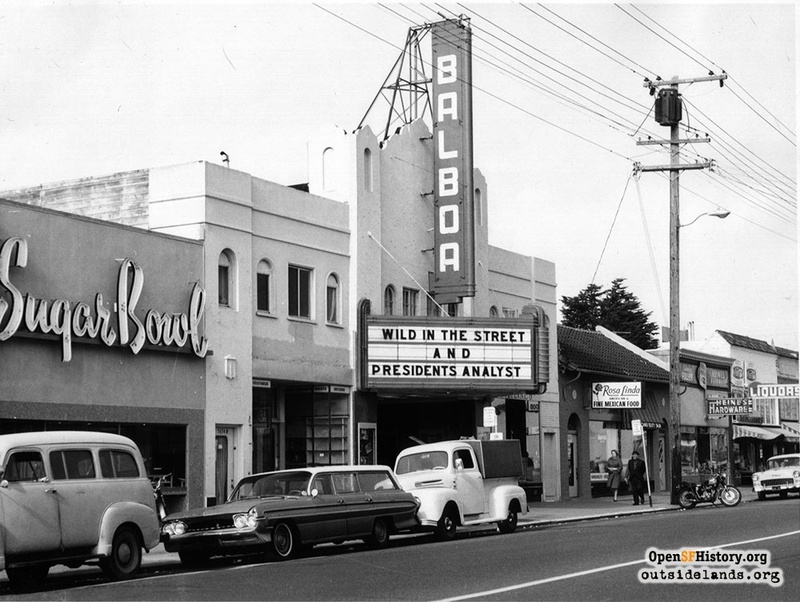 In the New Balboa, as in all my theaters, I seek to supply the comforts and intimate surroundings associated with the higher ideals of home life." The New Balboa (called that because of another Levin Theatre named the Balboa on Ocean Avenue) was designed by renowned architects James and Merritt Reid who designed the Cliff House, Fairmount Hotel, Spreckels Temple of Music in Golden Gate Park and numerous other theaters including the Alexandria and Fox Redwood City. The Levin family had continuously operated the Balboa until February 2001 when they asked Gary Meyer to take over operation of the cinema rather than close down due to the difficult competition from new megaplexes and changing film distribution patterns. 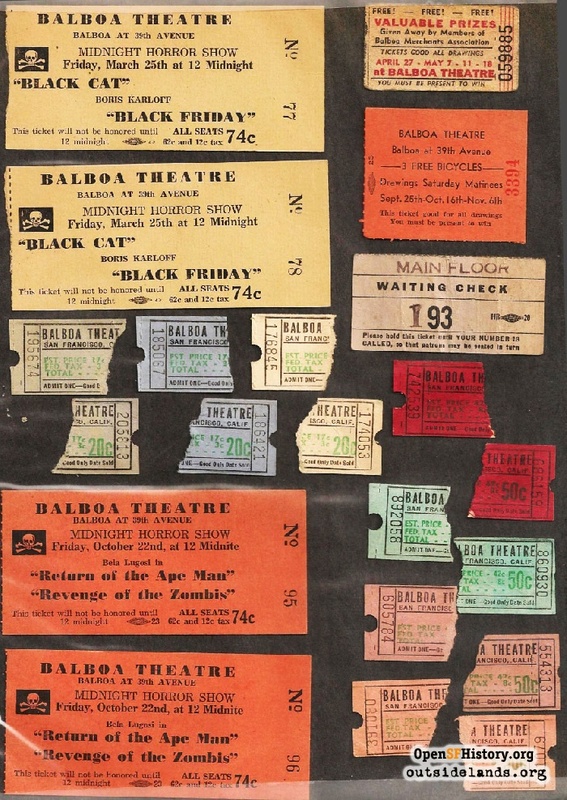 Meyer, an original co-founder of Landmark Theatres and film consultant, had many fond memories of seeing movies at the Balboa and decided to give it a try. Continuing the 76-year-old policy of playing second run engagements of quality movies in intriguing double feature combinations Meyer explained, "I just can't let another old theater close. This is an incredible neighborhood of family restaurants and businesses and our audiences appreciate the personalized attention we provide." "In the mid-1960's the theater was getting long engagements of popular films. A claim to fame was landing the first and exclusive neighborhood sub-run of Sound of Music, which had played an unbelievable 92 weeks Exclusive Roadshow Engagement at the United Artists on Market Street, opening on 18 March 1965, and closing 22 December 1966. 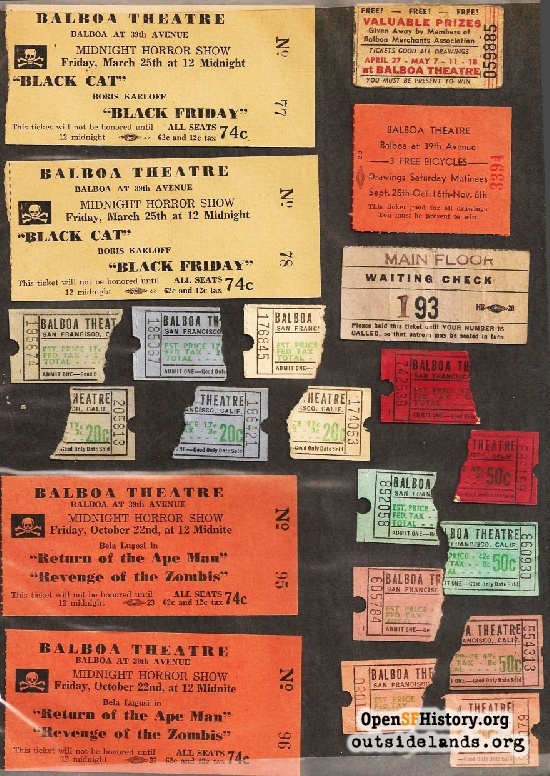 The Balboa picked up the exclusive sub-run (at "popular prices") and opened it on 25 December 1966 and ran it until 23 May 1967. "Meanwhile, Doctor Zhivago was being unreeled for an almost equally incredible 66 weeks Exclusive RoadShow Engagement at the Orpheum from February 1966 until May 1967. (The San Francisco record is Around the World in 80 Days which played 94 (yes 94) weeks at the Coronet.) When Zhivago closed at the Orpheum on 14 May 1967, the Balboa dropped Sound of Music (after a mere 21 weeks), and picked up Zhivago on 24 May 1967, and ran it for 30 (yes 30) more weeks, also at "popular" prices, closing on 19 December 1967. Put this all together, and you see that for one entire year, they only played two separate films. They sure don't make them like that anymore." 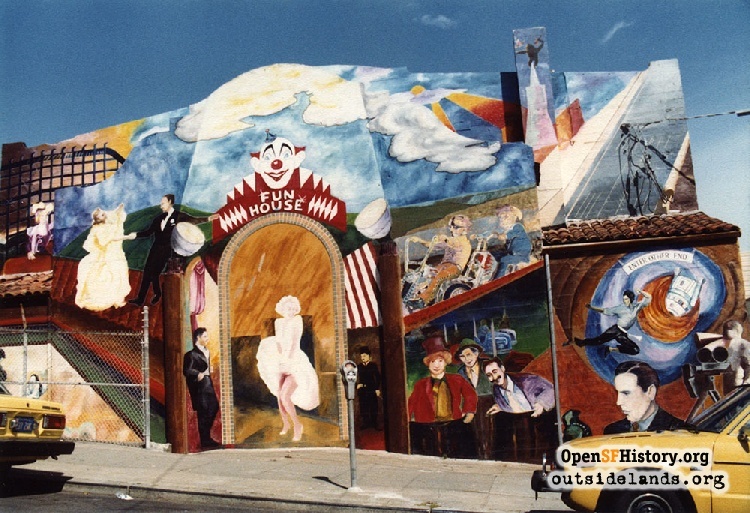 In October 2011, the San Francisco Neighborhood Theatre Foundation took on a new lease from the Levin family, ensuring the Balboa's survival through 2024. 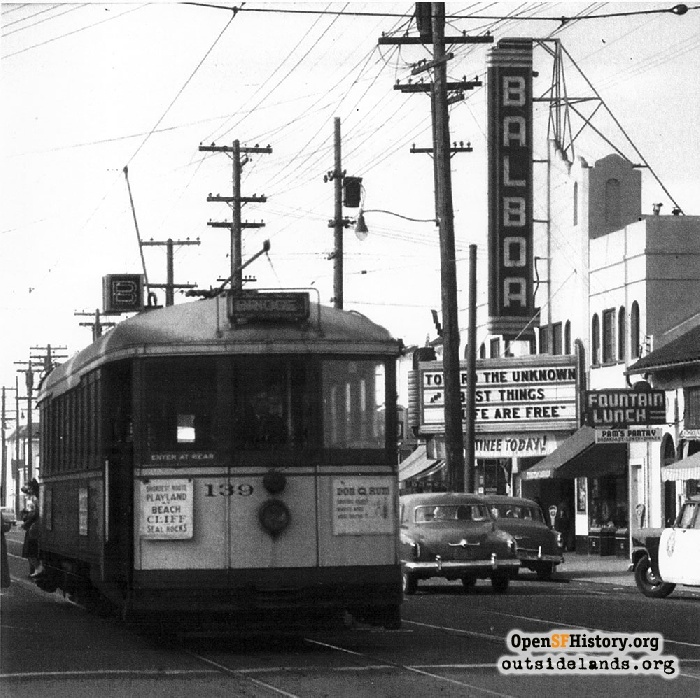 Contribute your own stories about the Balboa!